KONA LHe Plus offers video professionals at all levels an affordable desktop I/O solution that doesn't compromise on quality or essential functionality. 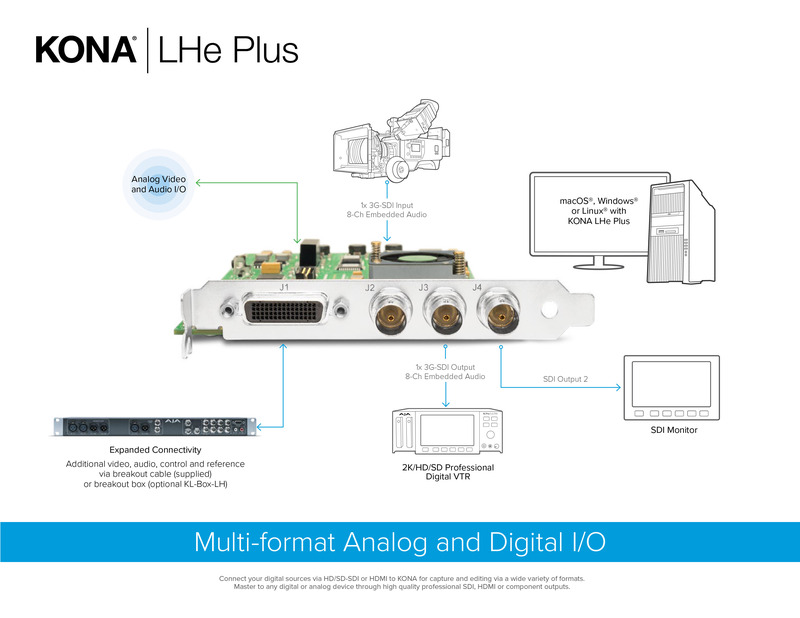 KONA LHe Plus supports both HD/SD analog and digital I/O for video and audio, providing maximum capability, simplifying integrating analog and digital signals into a single workflow and multiple output options to ensure you can deliver whatever formats are required. 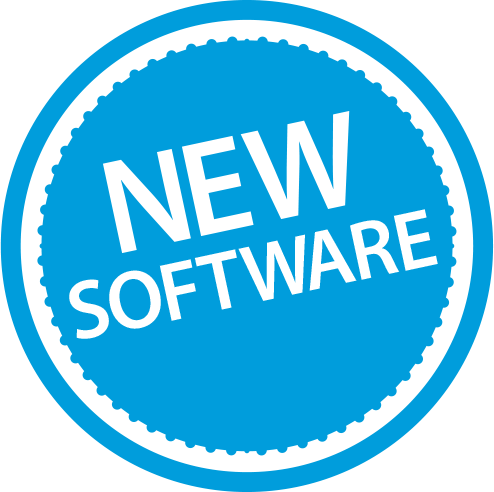 With support for 10-bit or 8-bit uncompressed video, KONA LHE Plus features one input and two outputs which can be configured independently for HD or SD. KONA LHe Plus also includes 2-channel AES digital audio, 8-channel SDI embedded digital audio, analog composite/S-video/SD/HD component video I/O, 2-channel balanced analog audio I/O, Genlock input, and three BNCs which may be configured for analog video input and output (HD or SD). Supporting macOS, Windows and Linux, KONA LHe Plus offers cost effective simple connectivity for a range of workflows. Because KONA LHe Plus supports 12-bit analog compontent HD input and output, devices with analog HD output, such as analog VTRs and game consoles, can be connected for a variety of workflows. A 9-pin RS-422 connection available on either the included breakout cable or the optional KL-Box-LH breakout box, allows KONA LHe Plus to take control of external devices for frame accurate ingest and layoffs. KONA LHe Plus features full 10-bit, broadcast-quality, motion-adaptive HD to SD down-conversion, and HD/SD 12-bit component analog output. The down-converter allows KONA LHe Plus to connect to analog SD devices for output. This can be used to check framing and color for SD versions while still working in full resolution HD within your application, ensuring proper quality for multi-format deliveries. Since conversion is hardware-based, it's available all the time - during ingest or playback. The optional KL-Box-LH breakout box let's you integrate KONA LHe Plus easily into rack environments for quick access to all video and audio connections. Additional connectivity includes BNC digital AES/EBU connectors and RCA audio monitoring jacks.